Andrey Rublev is enjoying a solid start to the year in the Arabian Gulf. The Russian secured fifth place in the Mubadala World Tennis Championship end of December, showing good form against Roberto Bautista Agut and Pablo Carreno Busta in his two matches in Abu Dhabi before heading to Doha where he is contesting the final against Gael Monfils on Saturday. Sport360 caught up with Rublev in Abu Dhabi and put his language skills to the test. Let’s see how Rublev fares in our Arabic test. Defending champion Serena Williams pulled out of the Australian Open on Friday, saying she was “super close” but still not at the level she needs to be after giving birth to her first child. 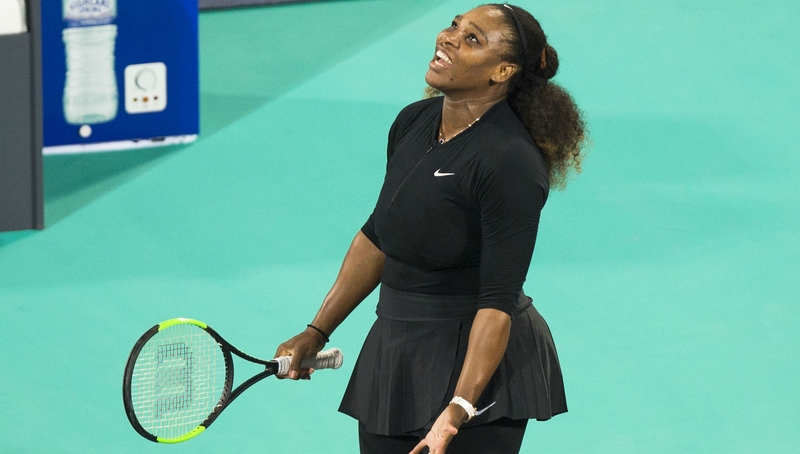 The American 23-time Grand Slam winner made a tentative return at an Abu Dhabi exhibition late last month, losing to French Open champion Jelena Ostapenko. Prior to that her last competitive match was at the Australian Open final almost a year ago, which she won despite being two months pregnant, memorably beating sister Venus in the decider. Since then, she has given birth to her first child and married Reddit co-founder Alexis Ohanian at a star-studded wedding, where guests included Beyonce and reality TV star Kim Kardashian. “After competing in Abu Dhabi I realised that although I am super close, I’m not where I personally want to be,” the 36-year-old said in a statement. “My coach and team always said ‘only go to tournaments when you are prepared to go all the way’. “I can compete, but I don’t want to just compete, I want to do far better than that and to do so, I will need a little more time. “With that being said, and even though I am disappointed about it, I’ve decided not to compete in the Australian Open this year,” she added. Her withdrawal deprives the opening Grand Slam of the year of another major star, after former world number one Andy Murray and Japan’s Kei Nishikori both pulled out injured on Thursday. In Abu Dhabi, Williams was clearly sluggish and had problems with her serve. She also stuck mostly to the baseline and only twice charged the net. JUST IN: @serenawilliams is OUT of the @AustralianOpen. Despite this, she made it clear afterwards that she missed being on court and was desperate to play at Melbourne Park, where she has been crowned champion seven times. Australian Open tournament director Craig Tiley expressed his admiration for her efforts to return to the game she loves. “The true champion Serena is has been demonstrated in the Herculean efforts she has made over the past few months in her desire to play the Australian Open,” he said. “It was never going to be good enough for her to just compete, she wants to give herself the best chance to win. Few players have successfully bounced back after giving birth, and even fewer have managed to go on to win Grand Slam titles. Williams can look to Margaret Court, Kim Clijsters, and Evonne Goolagong Cawley as those who achieved the feat as mothers. A key motivation for her is to match Court, who boasts 24 major titles and is renowned as the most successful player in Grand Slam history, but this must now wait until the French Open at the earliest. The Australian Open starts on January 15, with a host of top names either out or battling to be fit. Murray has returned home after failing to recover from a hip injury sustained last year, while Nishikori has been on the sidelines since August due to a torn tendon in his right wrist. World number one Rafael Nadal and six-time Australian Open champion Novak Djokovic also have injury issues, having yet to play a competitive match this year. Stan Wawrinka, Milos Raonic, Johanna Konta, and Garbine Muguruza are among others either on the comeback trail or fighting to be ready. The irrepressible Roger Federer appears to be one of the few top names to be fully fit, leading Switzerland into the Hopman Cup final with another masterclass against top-10 rival Jack Sock in Perth on Thursday. Maria Sharapova admitted that she needed to play far better after the Russian eased into the semi-finals of the Shenzhen Open on Thursday with victory over Zarina Diyas of Kazakhstan. The former number one, who has worked her way up to 59 in the world rankings since her return from a doping ban last year, will face the Czech sixth seed and defending champion Katerina Siniakova in the last four in southern China. The five-time Grand Slam champion won the Tianjin Open in October for her first title since her suspension, but said after defeating Diyas 6-3, 6-3 in 89 minutes. “I didn’t play my best tennis and there’s certainly a lot of things to improve on in the next (match),” said Sharapova who noted that she needs to get her unforced error count down. Sharapova’s win took her back into the world’s top-50 but she assures that’s not her main focus right now. “Those are not things I usually think about going into a match. So obviously statistically it’s nice to be back in that ranking but there’s a lot more things to work on,” said the Russian. The other semi-final is between Irina-Camelia Begu and fellow Romanian Simona Halep, the reigning world number one. 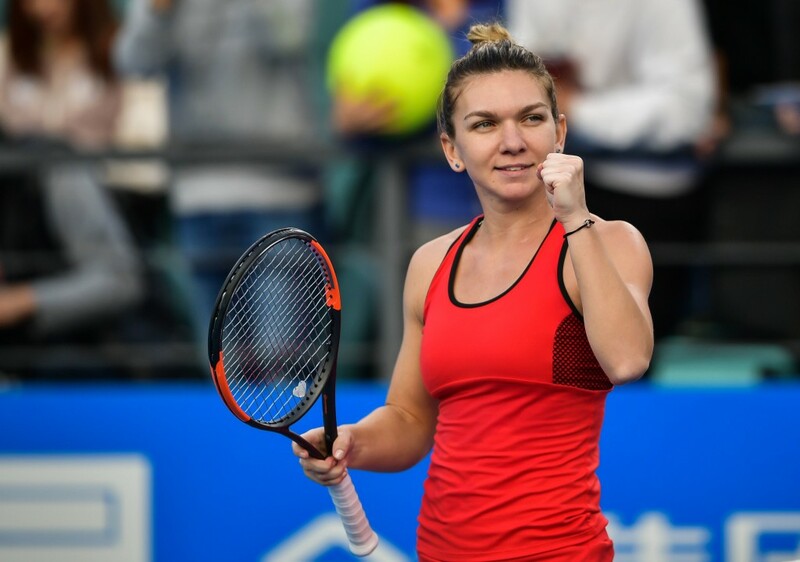 Halep, guaranteed top seeding for this month’s Australian Open, blew away Aryna Sabalenka of Belarus 6-2, 6-2. “I think I played really well today,” said Halep. “I played exactly what I needed to play against this girl, who is very powerful, she is hitting very strong. Sharapova and Halep are each one win away from setting up a mouth-watering final in Shenzhen. The pair share a long history that includes a French Open final back in 2014, and have faced off twice already since Sharapova returned from her doping ban.